An increasing number of seniors are deciding to continue living at their homes rather than shifting to adult care centers or nursing homes causing demand for homecare to rise. Normally home care and home healthcare are the two types of services offered at domestic environment. Though the two phrases are used interchangeably they are not same at the meaning. Homecare focuses on delivering assisted living solutions to seniors to allow them live as independently as possible. Home healthcare often offered by registered nurse to disabled and seniors with special medical needs. Often when we refer to homecare we mean assisted living solutions of non-medical type. Anyone, even a family member can assume the position of primary caregiver to the senior. It necessarily involves offering assistance with Activities of Daily Living (ADLs) and Instrumental Activities of Daily Living (IADLs). Offering Activities of Daily Living assistance involve helping with the following. Instrumental Activities of Daily Living involves helping with usage of instruments and appliances. Nature of assistance provided depends on intrinsic requirements of the adult. If the senior is capable of independently performing ADLs activities then only IADLs supports may be rendered. Seniors living alone mostly need support with medication management and money management, which can be arranged depending on requirements. 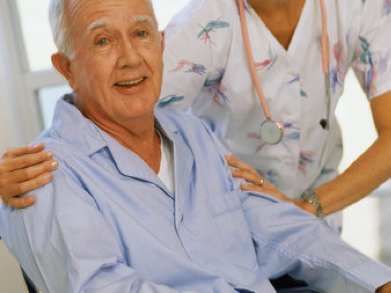 Homecare services can be offered both as long-term and short-term basis. Sometimes it is organized after the senior has experienced a medical crisis to help them regain strength and mobility during recovery. Either a family member or a professional can act as primary caregiver to the senior. If spouse or children decide to act as primary caregiver, professional caregiving by experienced caregiver can act as supportive system to offer necessary respite to the primary caregiver. Homecare requirement of senior must be evaluated by licensed medical professional or adult caregiving counselor. If one decides to hire professional caregiving for their loved one there are several licensed Newton health care agencies that offer such services. Newton health care agencies are regulated and governed by state authorities and hire only qualified and certified nurses in their employment as a guarantee to deliver only quality homecare support to seniors. While selecting senior homecare solution going with most trusted and experienced is the best policy. As we expect them to receive only the best solutions choosing care provider with vast exposure in offering senior care remains the most plausible solution. Scott is a professional counselor for last 20 years, counseling for elders in different cities of Massachusetts. He primarily devotes his time as home caregivers, writing articles and counseling about home healthcare USA.